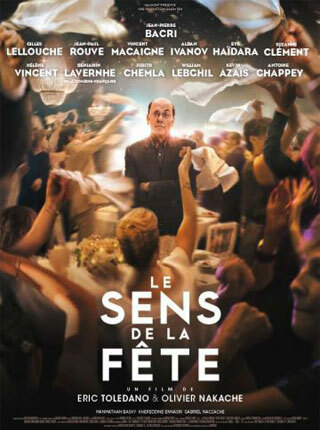 Nominated for 10 Césars, including Best Film, this deliciously deadpan comic soufflé from the directors of “The Untouchables” concerns the behind-the-scenes planning of an elaborate wedding. Max (Jean-Pierre Bacri) is a veteran event coordinator who thinks he’s seen it all—until he must pull off a spectacular wedding at an 18th-century chateau (complete with waitstaff in powdered wigs). Between an epic catering mishap, an egomaniac groomsman, and a photographer who’s more interested in his Tinder matches than in taking pictures, it’s sure to be a night to remember… Like Altman with a featherlight, Gallic touch, “C’est la vie!” expertly juggles a sparkling ensemble cast including Vincent Macaigne, Gilles Lellouche, and Suzanne Clement.